The Japanese developed hibachi also known as teppanyaki-style grills hundreds of years ago. Experience the excitement and skills of our master chefs as they prepare a wide range of fresh ingredients right at your table. 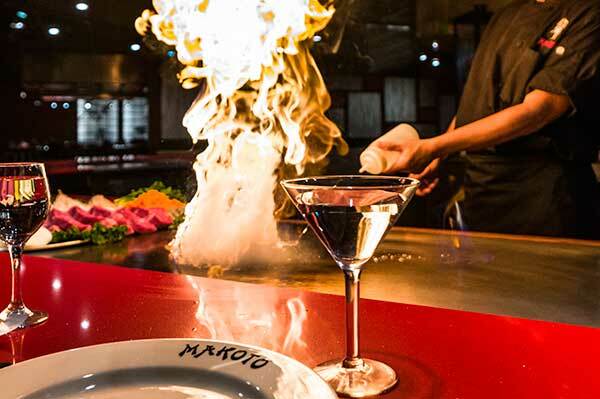 A meal at Makoto's is one to remember. Excellent for large parties or special events, our atmosphere and fine cuisine is sure to make your event. We offer a large menu with a lot of variety that's able to accommodate many dietary needs such as low carb and vegetarian. Our sushi is second-to-none and our sushi bar dining area has seating for any group, from an intimate table for two, to a large 20 person party. kids eat free on Sundays, some restrictions apply.